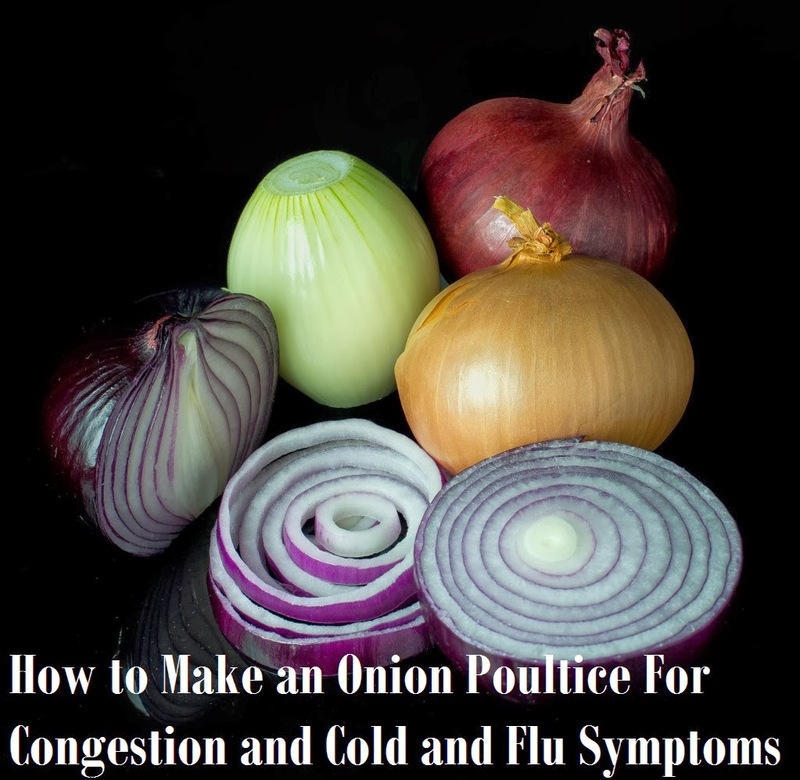 Did you know that onion poultices have always been used to relieve chest congestion? Onions have a long history for their healing benefits. A poultice is simply the mashed herb secured in some fabric and placed over the area of congestion on the body. The skin absorbs the medicinal properties quickly and more easily than through digestion. 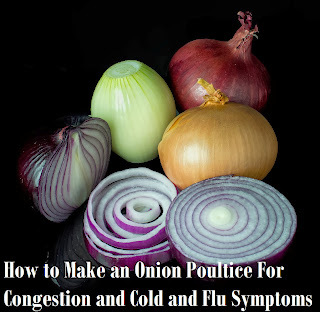 Onion poultices are time tested herbal remedies and treatments for chest congestion and other symptoms of colds and flu. A poultice is simple and easy to make. The onion poultice is a powerful home remedy you can use for your whole family. And, onions are readily available and affordable! Chop an onion into small bits. Let it set for a few minutes to draw out the powerful medicinal properties. The onion can be used raw or it can be sautéed gently. Put the chopped onion in the center of a square of fabric. You can use flannel, an old t-shirt or a pillowcase. Fold the fabric over and roll or fold the edges to make a 'hem'. Secure the edges with safety pins to keep the onion bits from falling out. Place the poultice on the patient's chest or soles of the feet. The sole of the foot quickly absorbs herbal treatments, in fact, some people rub ointments like Vick's on the feet when they are sick. You can also place the poultice on sore joints and behind the ear for an ear infection. Check your patient every 15-30 minutes to make sure that there's not any skin irritation.